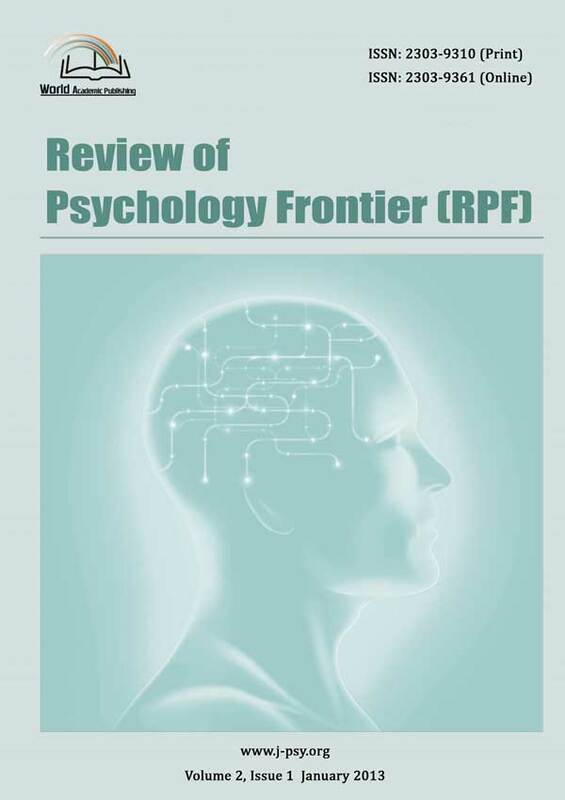 The Frontiers in Psychological and Behavioral Science (FPBS) is an international, free-access, online annually journal in English. The aim of FPBS is to publish original articles and review papers without delay in all fields of psychology. The mission of this journal is to publish original contributions in its field, and then propagate knowledge amongst its readers, and to serve as a valuable reference. The audience includes researchers, professors and teachers for Frontiers in Psychological and Behavioral Science. The primary objective of FPBS is to publish high-quality papers of new developments and trends on the theory and applications of psychology. Our vision is to provide a platform from which researchers can freely access research information and also make available to the academic community results of their research. 1, FPBS is available for Google scholar index and free downloading of the full text. 2, FPBS has the resources on hand to publish papers quickly and efficiently. 3, It enjoys wide readership, and open access publishing can significantly improve the number of paper cites. The journal publishes top-level original research articles, book reviews, editorials, letters, technical reports, short communications, conference proceedings, news and notes in all areas of aspects of psychology. FPBS now is a member of CrossRef and has joined CrossCheck to fight against plagiarism. Ensure high ethical standards for all of the submitted papers. Abstract:This paper argues that when people try to sort out whether they are treated in just or unjust manners, they will tend to inhibit ongoing action to pause and check what is going on. In this way, behavioral inhibition can facilitate the procedural justice judgment process of interpreting whether you were treated in just or unjust ways. We further note that receiving opportunities to voice opinions is a key antecedent of perceived procedural justice. Following this line of reasoning, we argued that an experimental manipulation that strengthens behavioral inhibition should lead people to respond more strongly to receiving voice versus being withheld voice in decision-making procedures. In two studies, we found that reminding people of times they acted with public inhibitions (versus not reminding them) indeed led to more negative procedural judgments following no-voice procedures (Study 1) and to more positive procedural justice judgments following voice procedures (Study 2). These findings suggest that higher levels of behavioral inhibition may lead people to become more sensitive to what happens in their environments and, hence, affect the justice judgment process.